Boil the baby potatoes in salted water (skin-on). Cool down and set aside. Bring a pot of lightly salted water to a boil with lemon, parsley and oil. Add the corvina and slow cook for 10 minutes. Peel and cut the potatoes in wedges and the carrots in julienne strips. Mix them in a bowl with the chopped green beans and the boiled eggs. Season, add Thousand Island dressing and thoroughly mix. 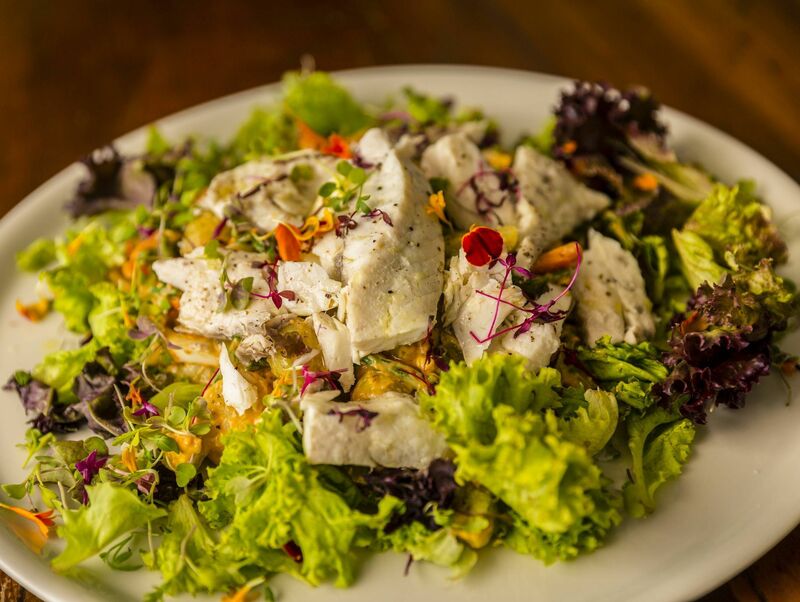 Dish up a serving of assorted green leaves, vegetable mix and corvina portions.